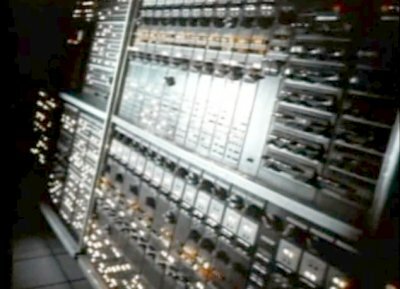 The AN/FSQ-7 was a key component of the Semi Automatic Ground Environment (SAGE) system used to track and intercept enemy bombers in the late fifties and sixties. 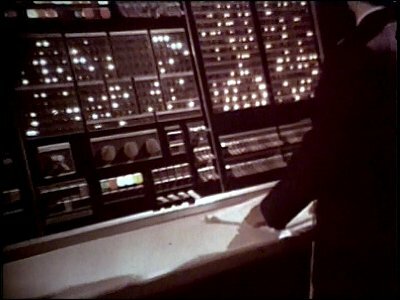 It was the largest computer ever built. 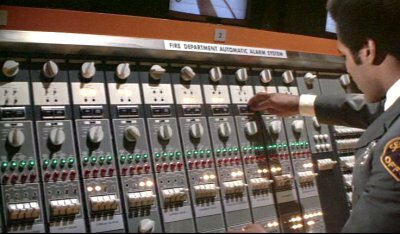 The AN/FSQ-7 is in use in the control room. 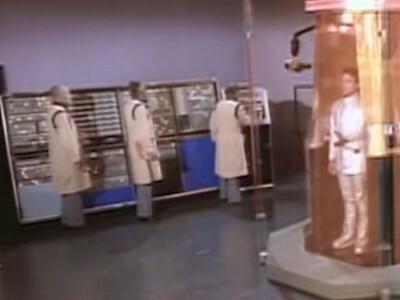 These machine's were in use in the SAGE system, so other military purposes seem reasonable. 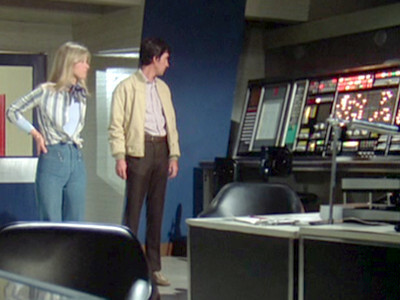 Only a fraction of the machine (the duplex maintenance console) is used here, though. 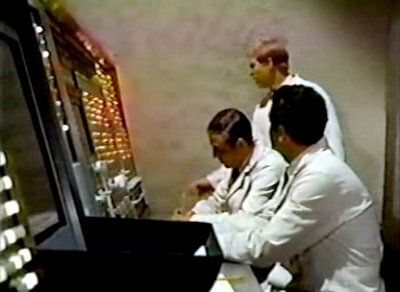 The computer is used by The Phone Company who plan to install communications devices in the everybody's heads. 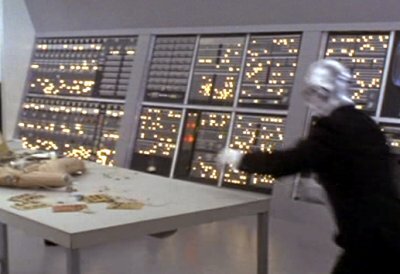 TPC's plans are foiled when Kropotkin distupts the computer system. 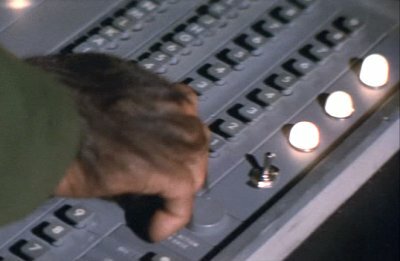 Computers do not catch fire without reason! 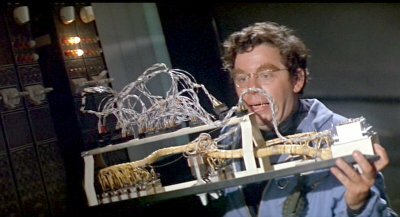 Mostly just flashing lights in a darkened room, but there are some tantalising shots of an opened wiring frame. 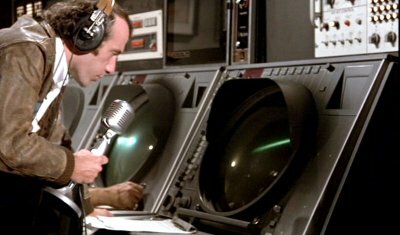 Air traffic control at Chicago uses recycled equipment from the SAGE system. 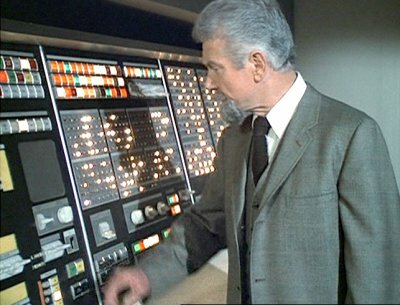 The FAA did operate an FSQ-7 for air traffic control duties for some years. 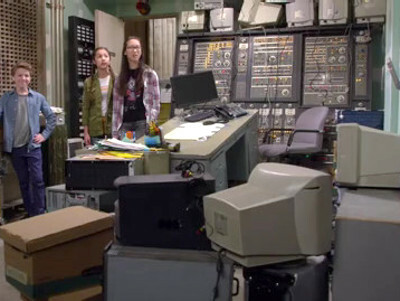 The ICBM site that becomes the crew's headquarters is equipped with FSQ-7 equipment. 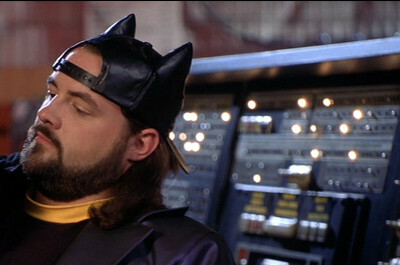 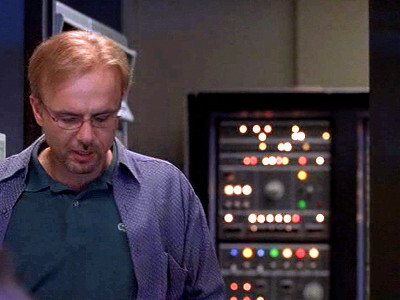 We'll offer a little credit for the computer being used in the system that replaced SAGE. 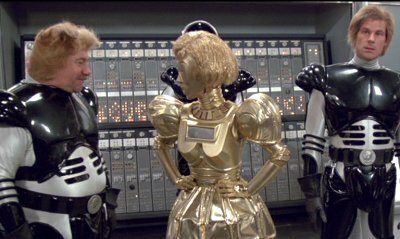 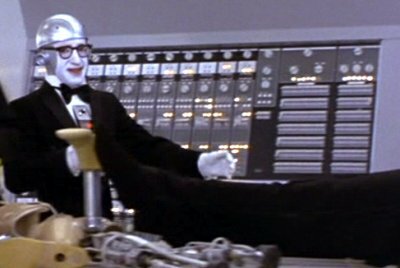 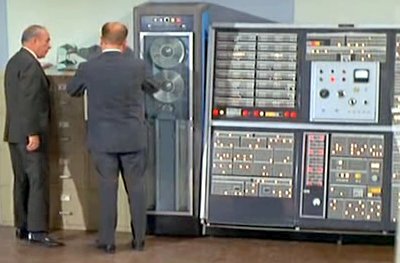 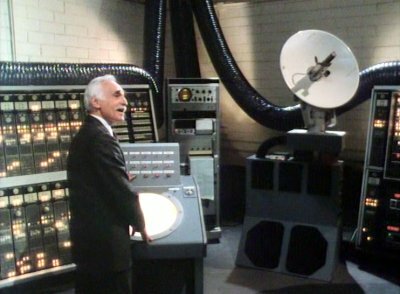 The IBM becomes the weather machine that KAOS use to hold the world to ransom. 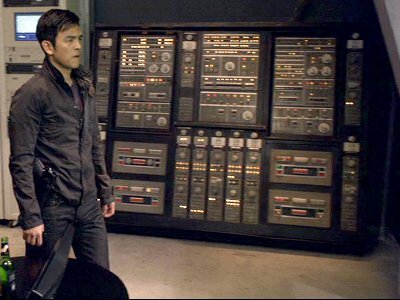 The military base that Eve works at is equipped with the IBM. 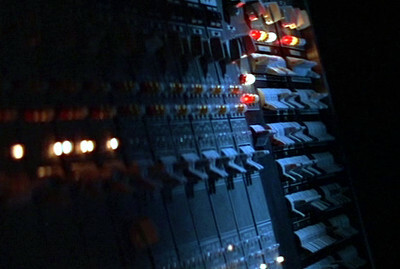 Parts of the Q7 appear to be controlling the theme park's rides. 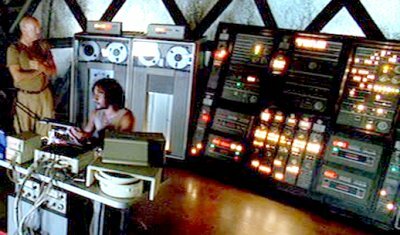 The IBM appears in Dr Evil's secret volcano lair. 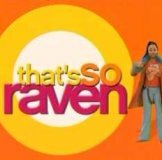 The SAGE is used to measure Raven's psychic abilities. 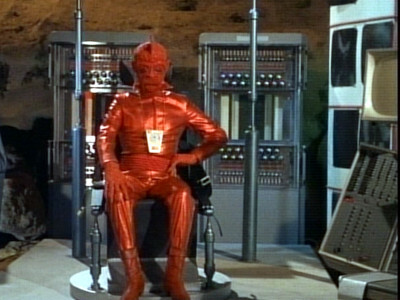 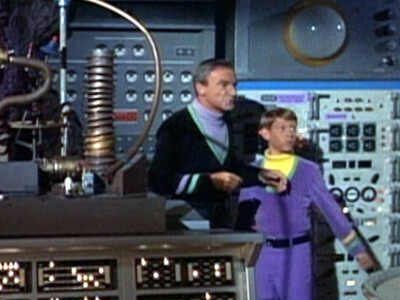 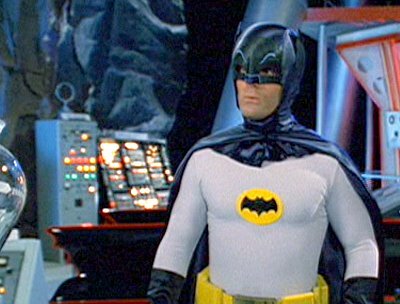 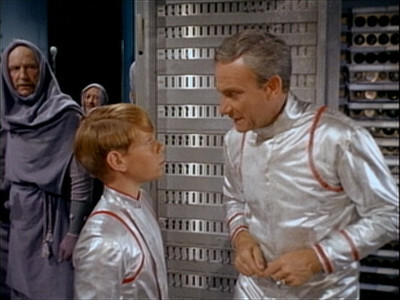 The SAGE appears on the 1960s Batman TV series set. 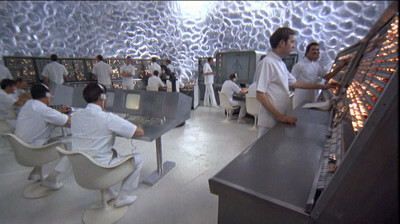 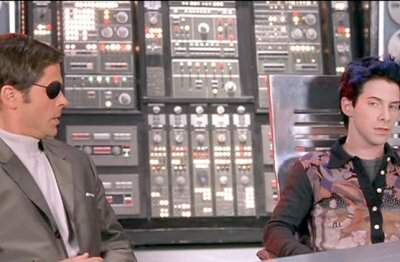 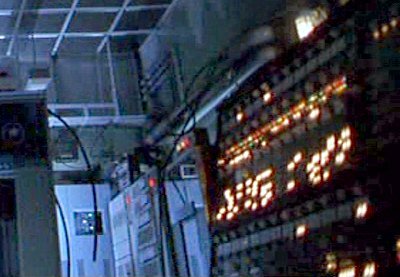 Dr Evil's submarine lair is equipped with panels from the AN/FSQ-7. 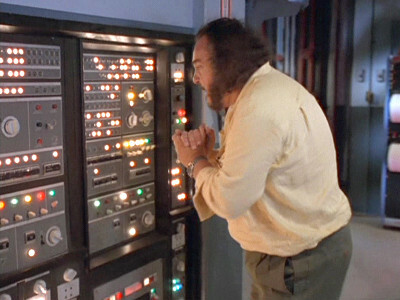 The IBM is used at the aliens "beaming device" that Saul uses to return Burt and himself to the Earth. 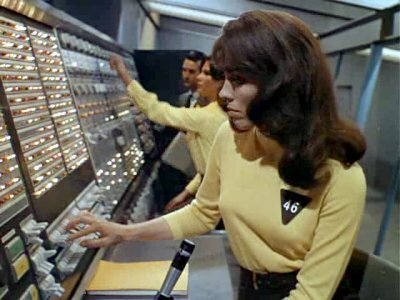 Dr Harris uses the IBM as part of her controlled mutation machine, turning the local women into Bee Girls. 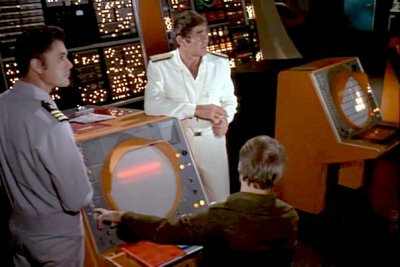 Panels from the IBM appear on the Russian research vessel. 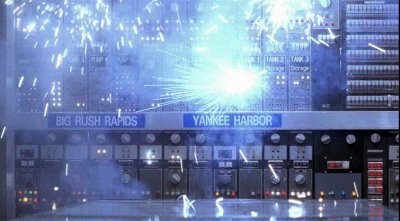 This is particularly poor - the panels are only visible for a couple of seconds before being blown up. 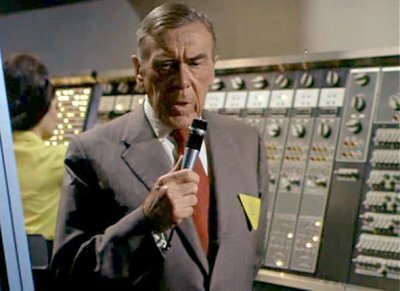 The FSQ-7 is used in the ICBM silo as WWIII commences. 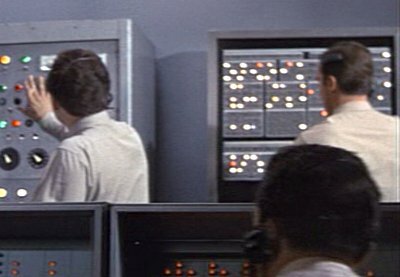 The FSQ-7 acts as the building's control computer and fire alarm. 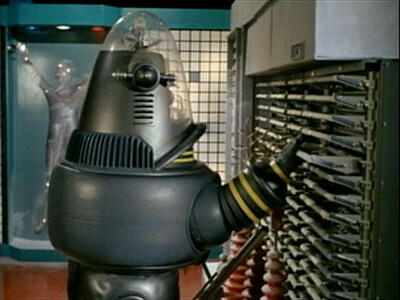 The robot repair laboratory is equipped with AN/FSQ-7 panels. 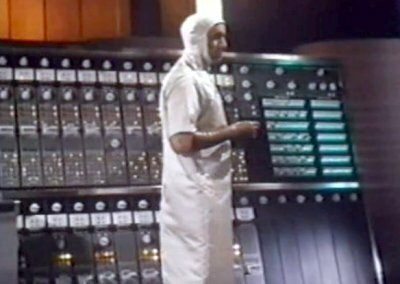 The Swan research laboratory is equipped with AN/FSQ-7 panels. 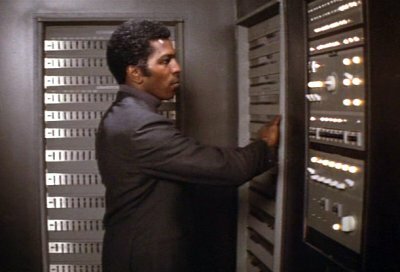 The insurance company that Johnny works for uses a panel from the AN/FSQ-7 as their office computer - Johnny breaks it by forcefully "returning his computer cards" before quitting. 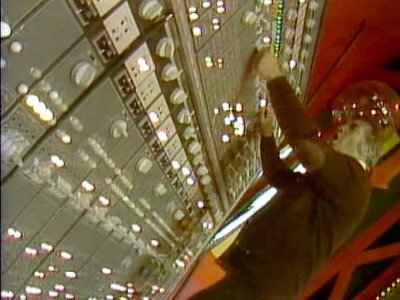 Panels from the AN/FSQ-7 make up the Cycloid Computer that controls the satellite in The Installation. 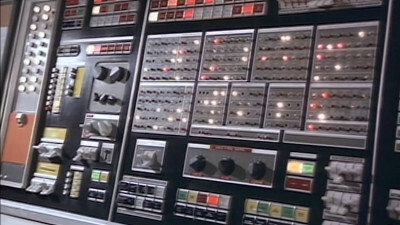 The control room at Delos has a panel from the FSQ-7. 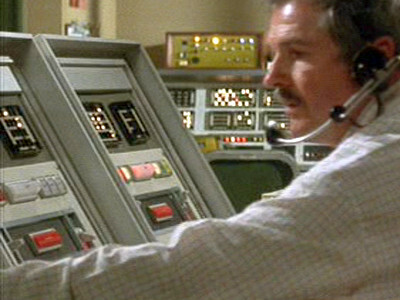 A SAGE display scope is used in mission control for the rocket launched to follow the Martian spaceship. 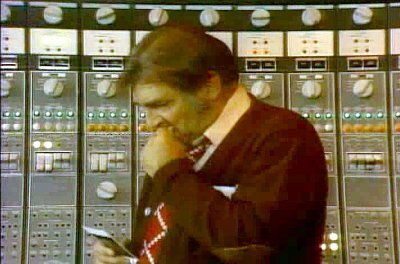 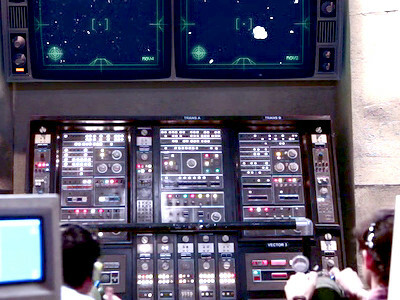 Part of Pa Kegan's empire includes a computer centre, run by John Cerruti, in which large number of panels (and even a display scope) from the FSQ-7 appear. 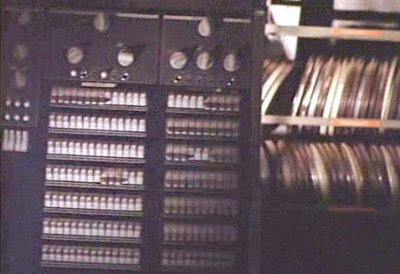 There are FSQ-7 panels in the Forbidden City's archive. 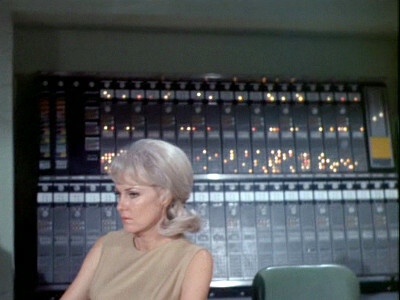 SAGE panels appear in the Clamp building's systems control room. 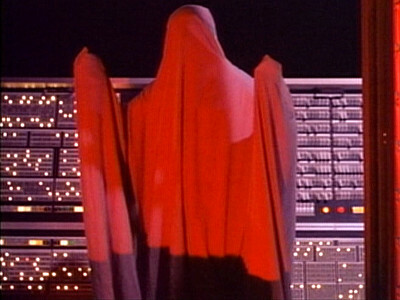 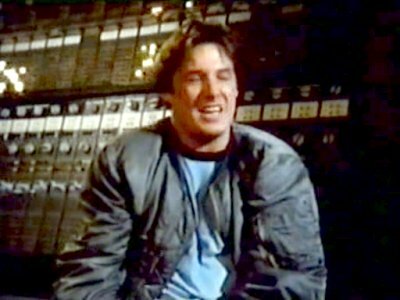 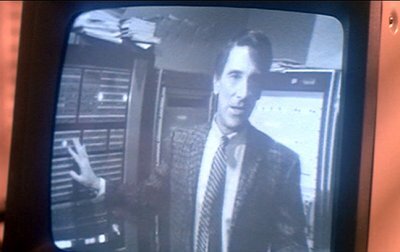 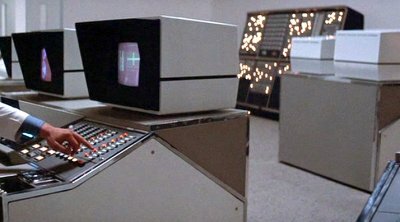 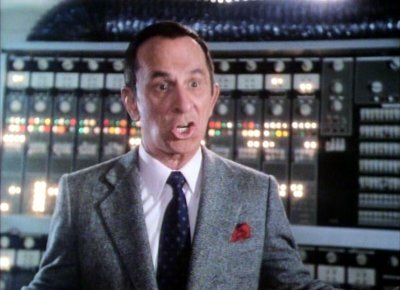 Franks gets a list of the university's members from the computer (described as a Rock 9000) and later he recognises the voice of the computer in a phone message from the abductor. 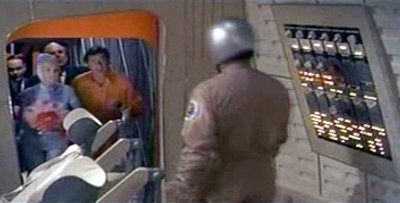 SAGE panels appear both on the moon rocket and in the moon base. 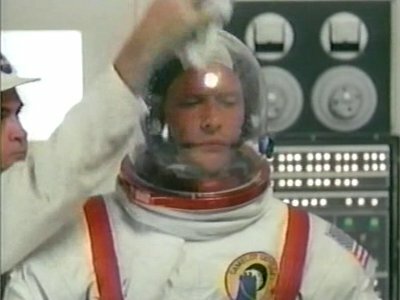 Not only would the FSQ-7 be far too heavy to be used on a rocket, this film is set in 1989, long after it had become obsolete. 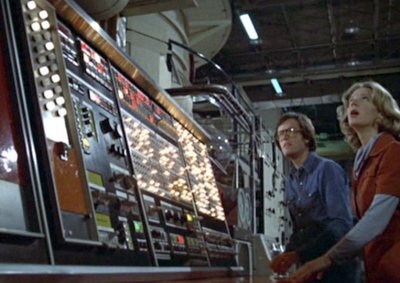 There is a bank of FSQ-7 panels in the room containing the particle accelerator. 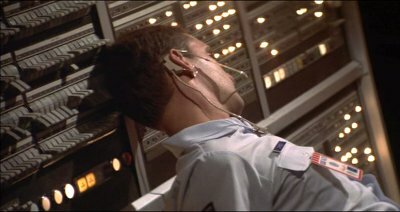 The army enlist the help of part of an FSQ-7 computer to analyse the cat's spacecraft. 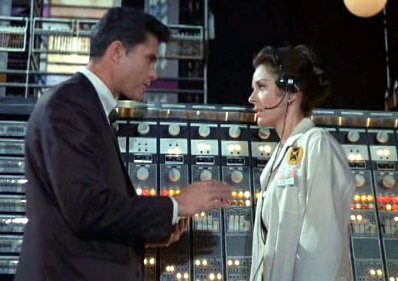 A SAGE panel makes up part of the dating agency computer. 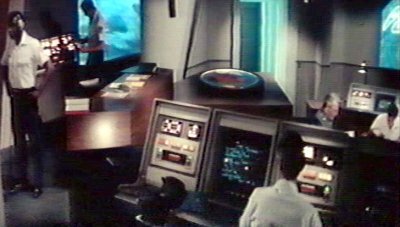 SAGE panels appear in the opening sequence of the film in the PAX city. 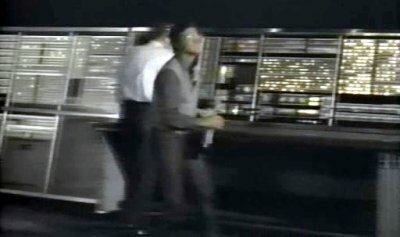 SAGE panels appear in mission control, Earth II itself, and the shuttle vehicle. 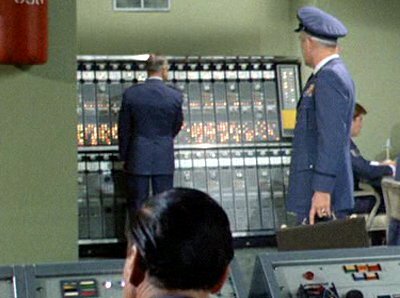 SAGE panels make up part of the college computer. 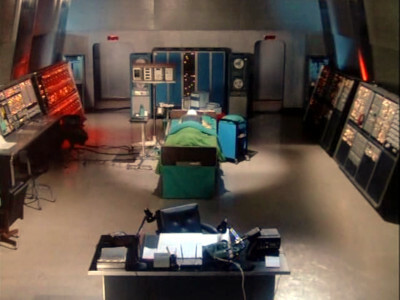 The Heat Endurance laboratory is equipped with panels from the FSQ-7. 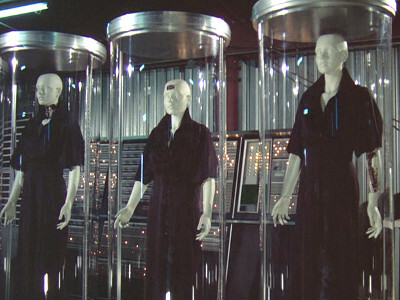 Scientists use FSQ-7 panels in a machine that extracts memories out of dead renegade spy's brain. 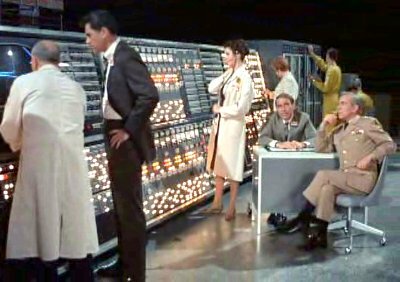 A bank of SAGE panels are used the in UNCLE headquarters mostly, it seems, for communication purposes. 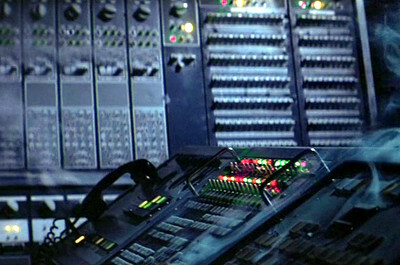 The vehicles is equipped the various SAGE panels and can be completely computer controlled. 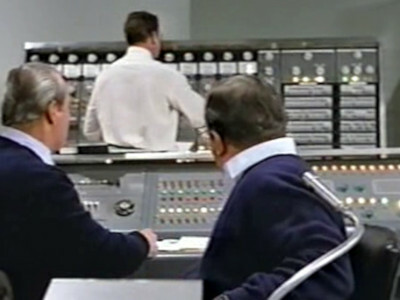 The city's control room is dominated by FSQ-7 panels. 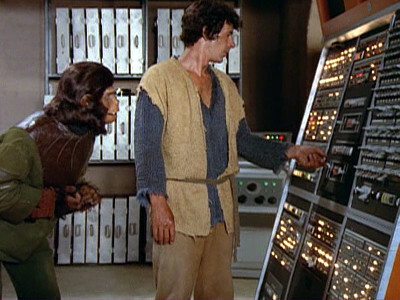 FSQ-7 panels appear in the Delos Research and Development department controlling, amongst other things, the lights. 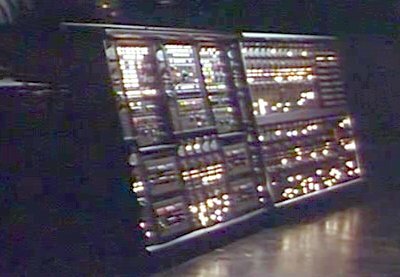 A panel from the FSQ-7 appears in the Strategic Air Command. 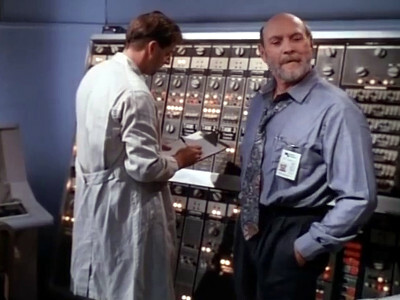 This is exactly where you would expect to see the FSQ-7, but it would have been retired long before 1990. 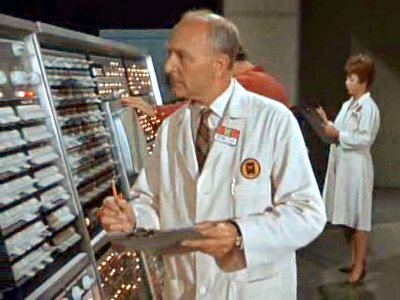 Abner Devereaux, the park's mad-scientist designer has a development lab full of equipment including some FSQ-7 panels. 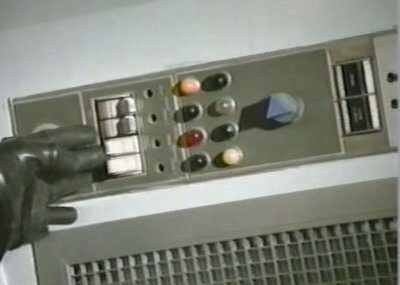 Several panels from the FSQ-7 appear on the spacecraft. 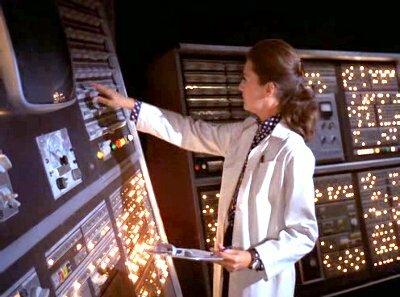 SAGE panels make an appearance in NORAD where they track an out-of-control Soviet satellite. 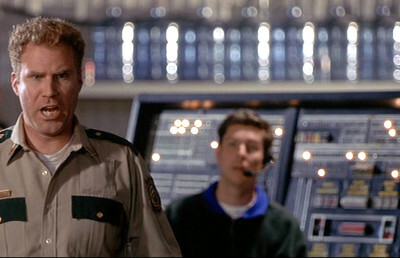 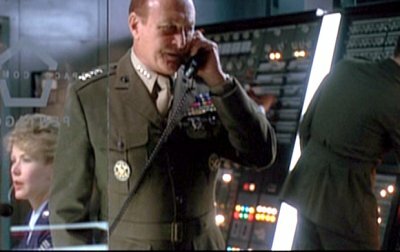 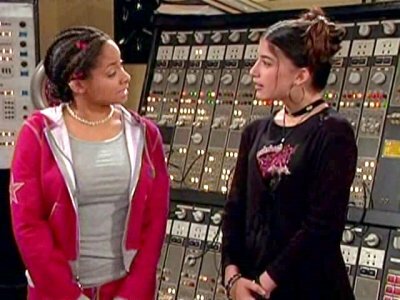 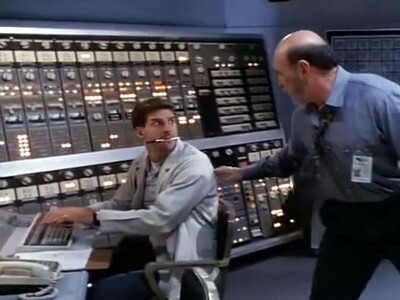 SAGE panels appear at NORAD as part of the computer system that the aliens are trying to subvert. 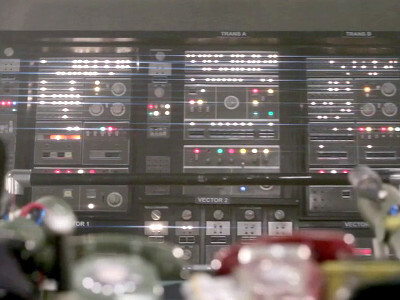 The NLAP supercomputer that controls the FlashForward machine is make of parts including panels from an FSQ-7. 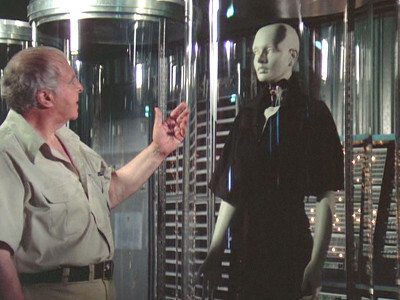 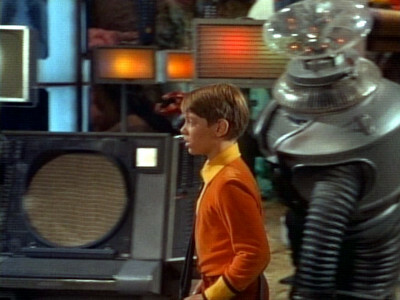 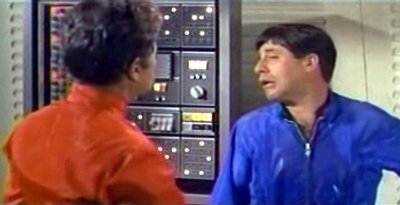 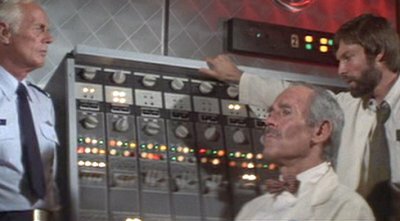 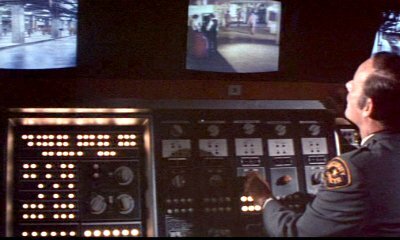 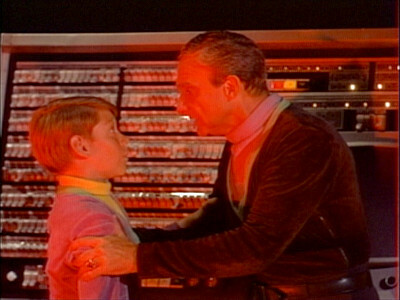 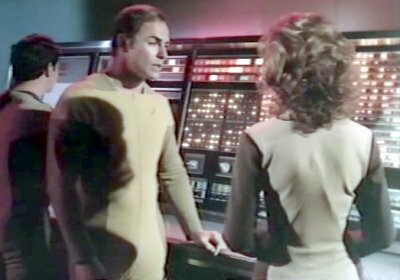 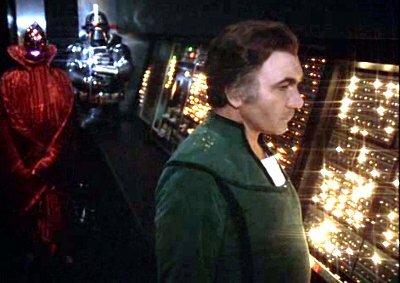 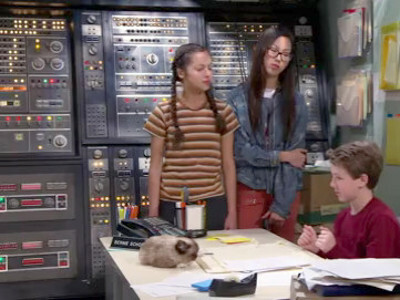 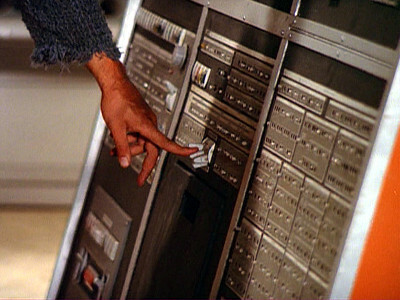 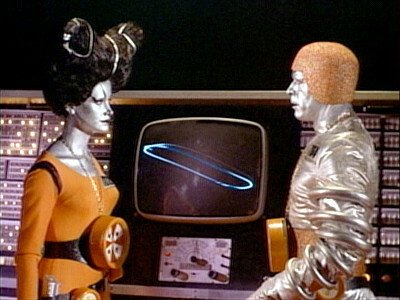 Various panels from the FSQ-7 make up part of the computer system that controls the Time Tunnel. 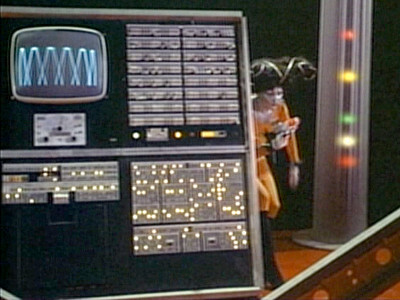 Panels from the SAGE system act as Franks's powerful computer: the Crime Scope. 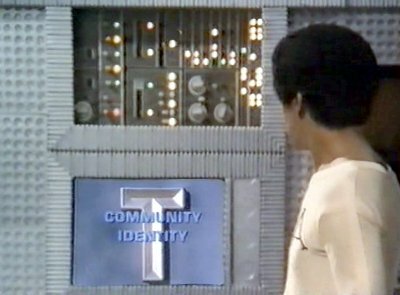 A small part of a SAGE panel appears in the background, part of the city's extensive computer system. 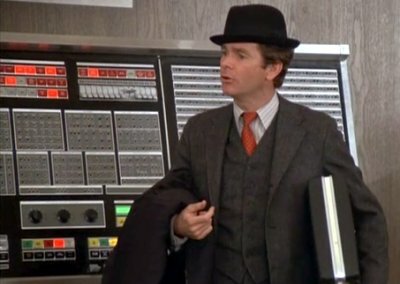 Michael goes to the library to research the industrialist's background. 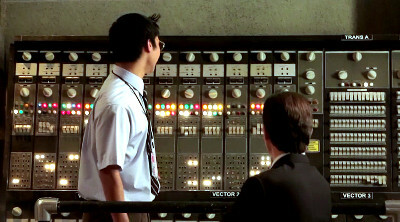 The library's computer consists of FSQ/7 panels. 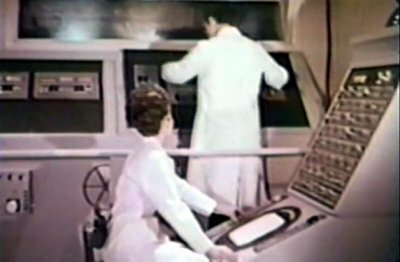 Doctor Fremont uses a machine made with SAGE panels which she claims is able to diagnose any illness. 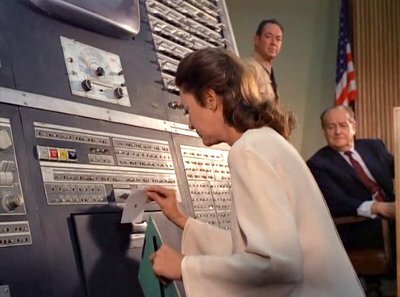 McGarrett later exposes her fraud in court using the machine. 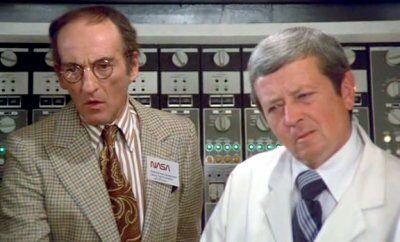 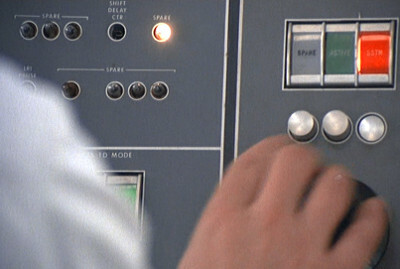 FSQ-7 power panels appear in mission control, one being used to control radio communications with Capricorn One. 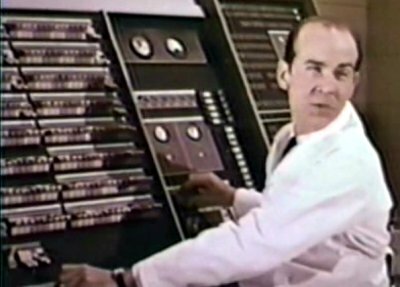 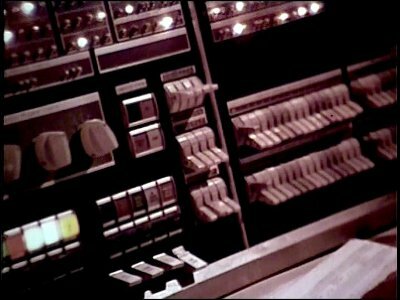 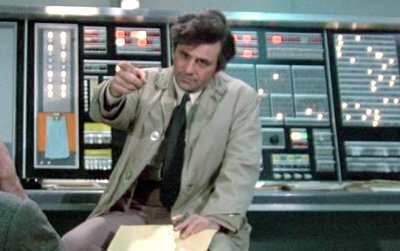 Fearing the astronauts might give the game away, an official's hand lingers over one of the FSQ-7's buttons, ready to interrupt the signal. 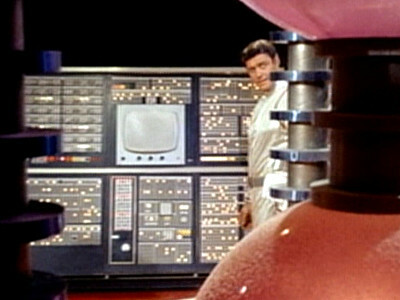 A single panel from the FSQ-7 appears in the laboratory at The Shop. 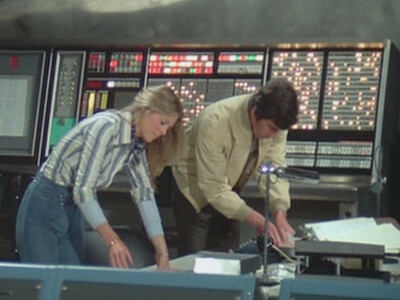 Panels from the FSQ-7 are part of the computer Franklin used in his tornado research and Maximilian also uses to create conditions for the next slide. 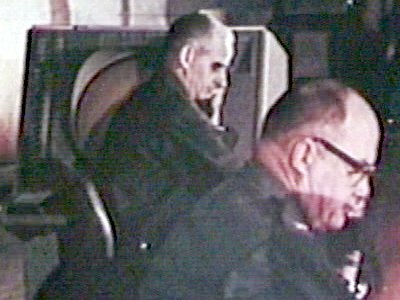 The team inspect video of Sheridan's murders in a computer room equipped with FSQ-7 panels. 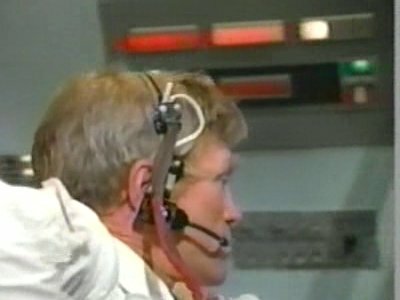 Panels from the FSQ-7 play the "control centre" in a man's brain. 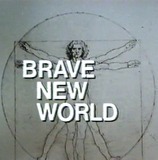 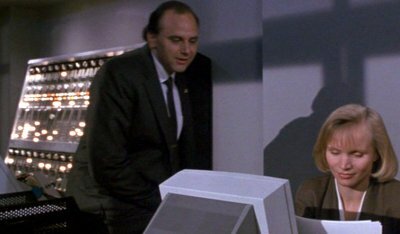 One of David's compatriots owns a computer company and, with the use of their SAGE computer, they hope to be able to predict the Invaders' movements. 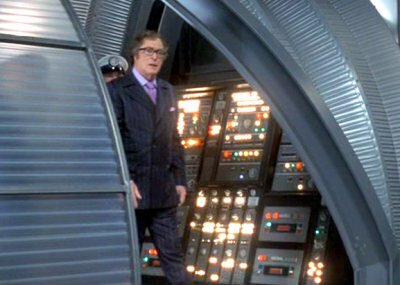 Various SAGE panels appear on board the prison ship. 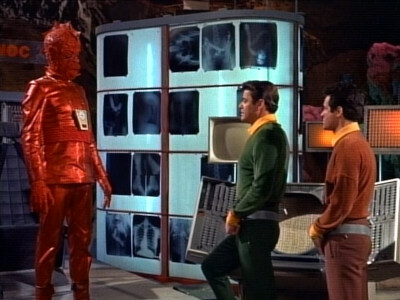 FSQ-7 panels appear on the alien planet. 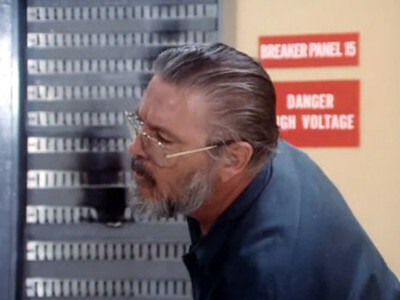 Sage panels appear in the Jupiter 2's dangerous and usually off-limits power room. 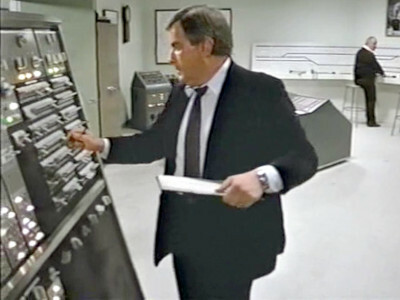 When the train becomes a runaway the FBI contact the railway control centre that is equipped with SAGE power panels. 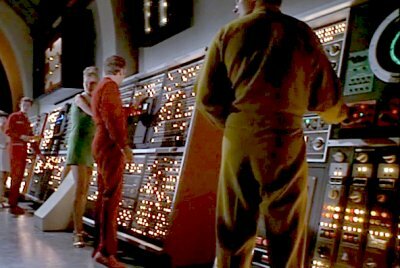 IBM AN/FSQ-7 panels appear in the data vault, presumably storing all of mankind's knowledge. 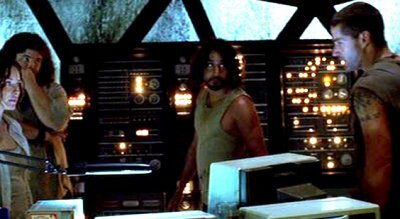 The, now rather aged, asteroid tracking system is a machine build in part with SAGE panels. 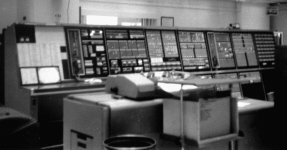 The computer that controls the various chemical processes at the plant includes AN/FSQ-7 panels. 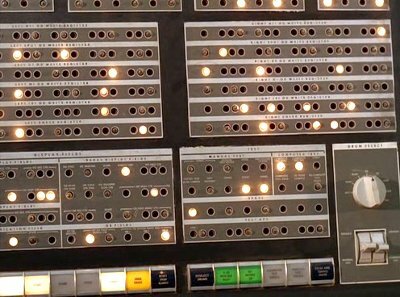 The Vuuugle computer system consists of FSQ-7 panels. 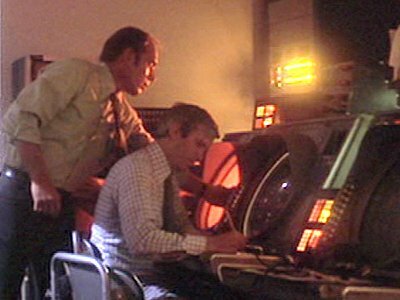 AN/FAQ-7 displays appear amongst the equipment used at Devil's Tower to observe the alien craft. 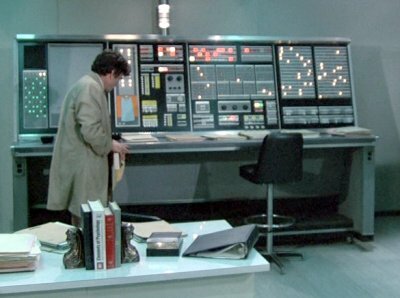 The research lab at the base has a computer made up of AN/FSQ-7 panels. 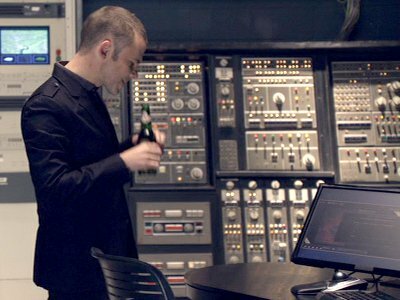 The computers at the Sanctuary project that control the time travelling machine and record events after the start of war are made up in part of AN/FSQ-7 panels. 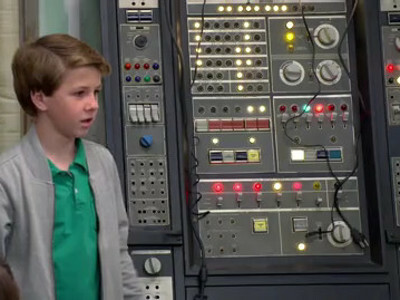 Dr. Franklin's lab has AN/FSQ-7 panels in the background. 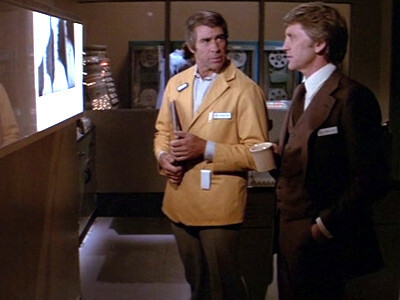 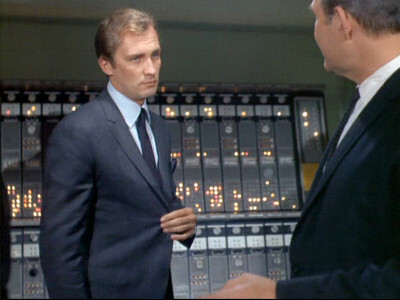 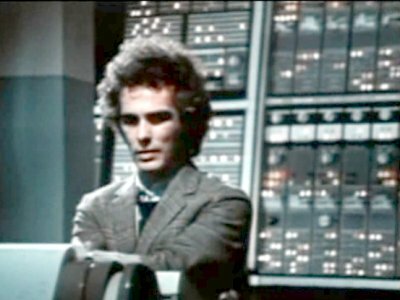 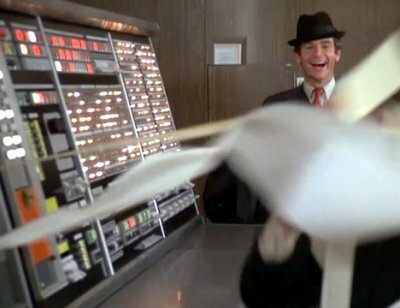 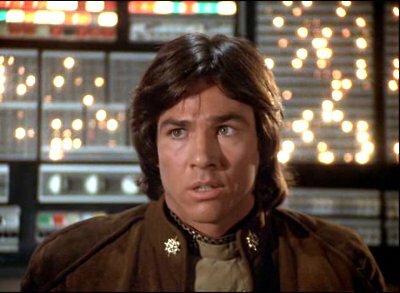 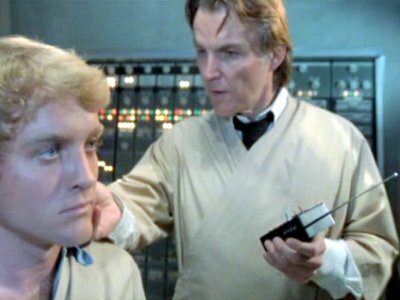 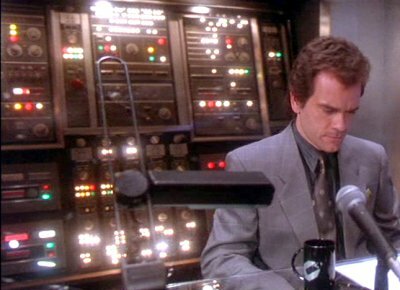 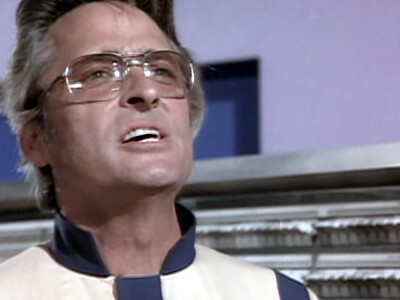 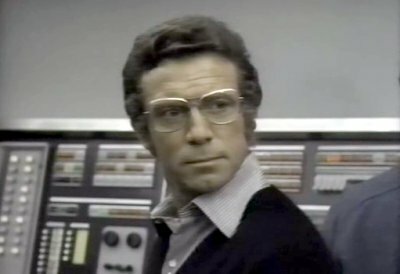 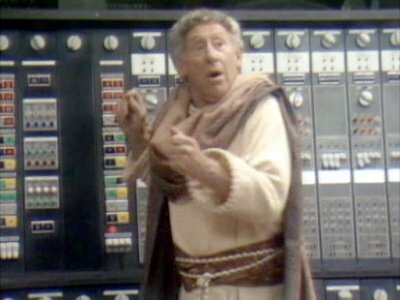 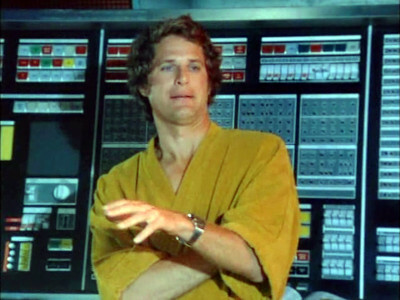 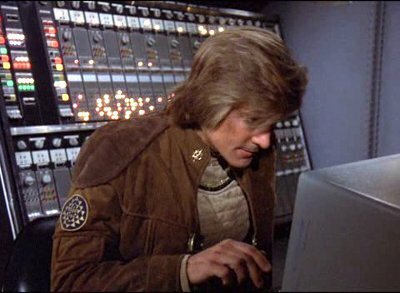 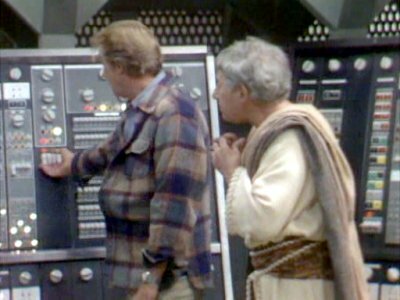 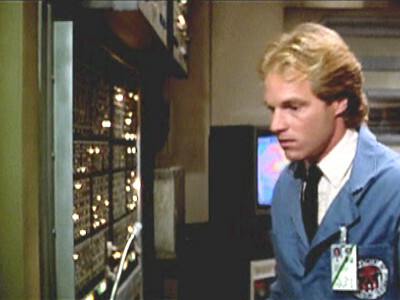 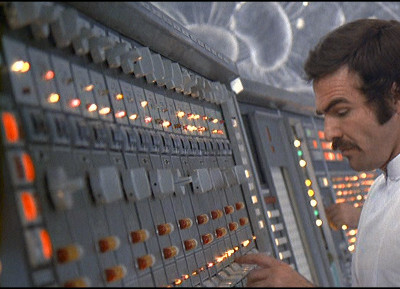 Harry comes up with a plan to defeat Misquamacus using the Manitou, or spirit, of the hospital's computer system which has AN/FSQ-7 panels. 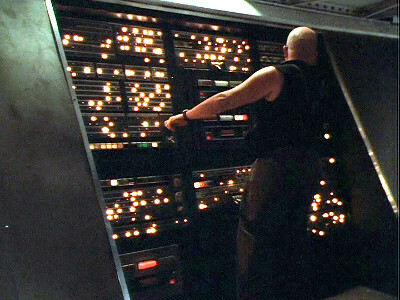 The Agamemnon's computer system, that the salvagers repeatedly try to get control over, is comprised of AN/FSQ-7 panels. 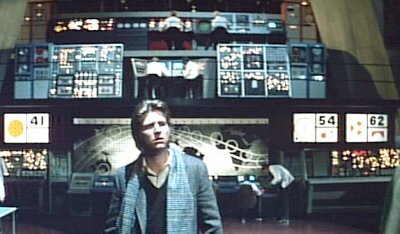 There are AN/FSQ-7 panels on the set of the movie. 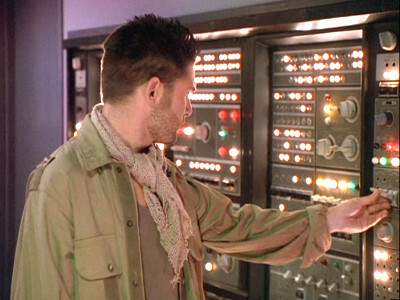 There are SAGE panels at the nuclear silo. 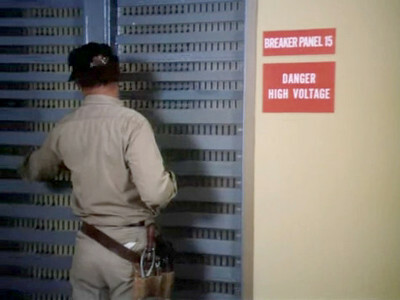 FSQ-7 panels play the part of electrical power boards in the hospital that explode, killing a worker. 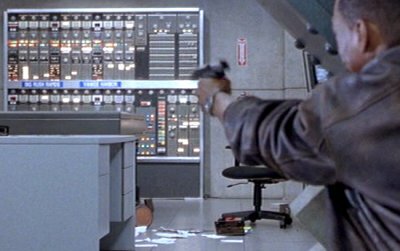 Sage panels appear in the rail control stations and are used to divert the hijacked train. 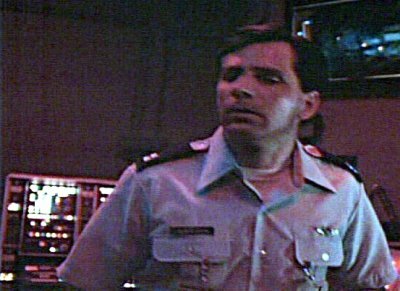 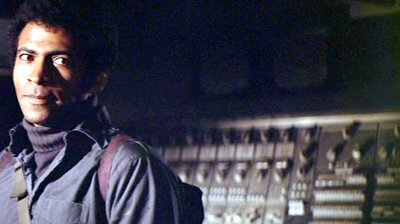 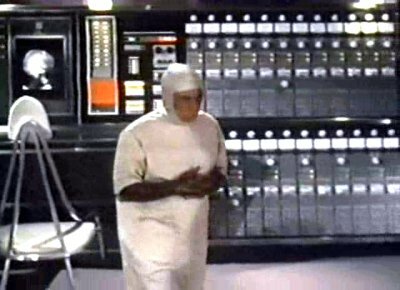 With his life in serious danger, he is taken to a nuclear laboratory where Dr. Abby Lawrence attempts to save him with the help of an AN/FSQ-7. 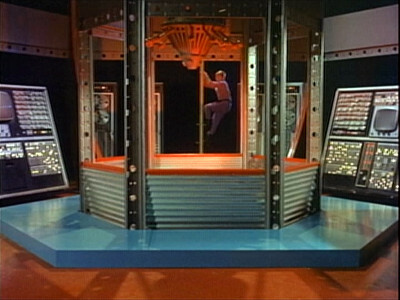 Lemnoc's lair features a number of FSQ-7 panels and parts.